One of the highlights of visiting this island is, by far, the volcano. 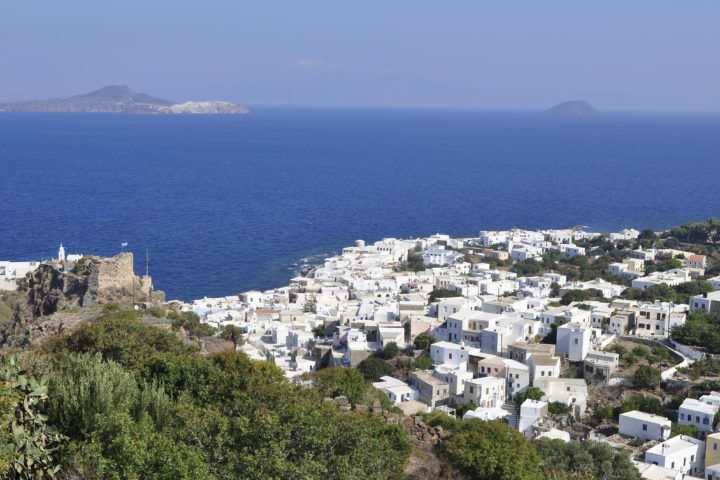 Nisyros sits on a fault line that extends through the southern part of the Aegean Sea. The last time the volcano erupted was around 25,000 years ago. However, it isn’t officially classified as extinct, only dormant. The fact that it is still possible for the volcano to erupt makes the island seem even more mysterious than it already does. Spend some time exploring the area around the volcano and be sure to snap some pictures of the stunning scenery! There’s a lot to do in the village of Mandraki. 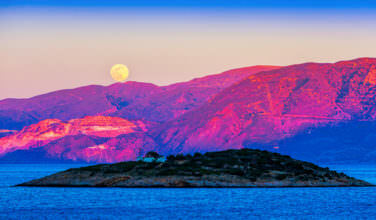 Overlooking the Aegean, this place is an ideal place to base your stay here. Life here in this village is quiet, which means that it is possible to achieve total relaxation here while still having fun. Spend your days wandering through the village streets and enjoying the views. 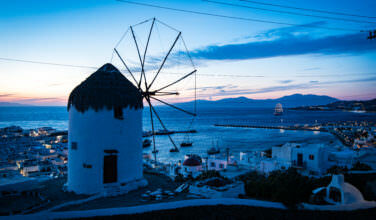 Dine at a local taverna or restaurant into the late hours of the night. Be sure to take in the sunset whenever you can! There are some great sunset views at this village. There are plenty of cafes and tavernas located close to the ocean and they all have a great view. 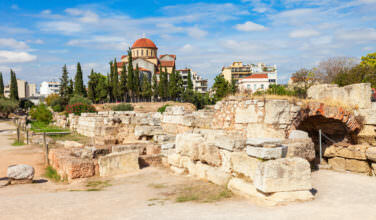 While you’re in Mandraki, be sure to stop in on the Archaeological Museum. Although it’s small, it does give a nice overview of some of the ancient history of the island. There are some nice examples of pottery from the Hellenistic and Roman periods. There are also some artifacts made of obsidian as well as an historical carving talking about an ancient influx of migrants from Syria and Palestine to the island. It won’t take long to see it, but it’s worth doing so if you’re interested in history and artifacts. If you love to hike, you won’t want to miss the Paleokastro. Those who love history will also take enjoyment from this walk, as well. To reach the Paleokasrtro, you need to hike for about twenty minutes through some picturesque fields. The trail starts at a monastery and ends at an acropolis that was dated around 3000 years ago in the Mycenaean Era. There are some signs here that are also translated into English explaining what the site is. 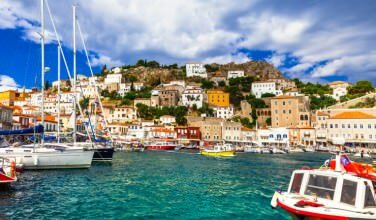 Nisyros is one of those mysterious islands that allow the visitor to truly rest and relax. While there are plenty of things to do, where the island really shines is as a place to let you get away from it all.